Today I was finally able to post the registration site for an upcoming full day workshop that our .NET User Group had been anticipating for quite some time. Although this seems like a trivial thing to get head over heels excited about, getting to this point took months of planning, organizing, polling, budgeting, begging and cold calling. So pardon me while I round a few cartwheels to celebrate this milestone. When the good folks at Microsoft put forth the offer to the User Groups to host a full day Mobile and Cloud Application Workshop, I jumped all over it. I received great feedback from members after our October session on Windows Phone development, and they were all asking for a full day event centered around this topic. I figured there couldn’t be much more to it than organizing the monthly sessions. After all, whether it be a full day event or 2 hour session, they both had the same requirements in common: find a speaker, gather some sponsors, order some grub… that’s it, right? Wrong. It wasn’t that easy. Planning for a 2 hour meeting is quite different than organizing a full day event. The most difficult hurdle to overcome was finding the right venue. After all, this is what will make or break your event. Especially for this type of event, a Windows Phone/Azure workshop, which requires availability of power to everyone’s laptops, internet availability, sufficient room size for up to 100 people, catered food services, equipment rentals, clean washrooms (for a germaphobe like me, this was important), and so on and so forth. After many weeks of calling different venues (between myself, and the other volunteers of CTTDNUG), and looking at the limitations of each one, we finally found one that satisfied all requirements within a somewhat reasonable budget. Done and done. The next major hurdle to overcome was to find the right speakers for this event. Technical experts in the industry that are well-known and trusted. Again, getting the right people to deliver the required content, will also determine the success of this event. Lucky for me, I had already been poking Atley Hunter, Windows Phone MVP, for awhile to ensure that he had availability for our target date, which he graciously reserved for us at my request. Also, I have assurances from Microsoft that they will be sending out an Azure expert, which puts my mind at ease for that topic. So I was able to check that off of the To-Do list. Another hurdle to overcome was to gather sponsors. However, gathering sponsors for this event was easy, so it wasn’t really a hurdle. More like a small little ant hill at best. CTTDNUG already has been supported by some great companies throughout the 2011/2012 sessions, and they all willingly signed up to support this special event. 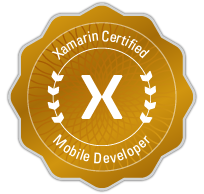 Thanks to Microsoft, Xceed, Telerik, Red Gate, Pluralsight, O’Reilly, and The Ian Martin Group. Without your support, this event would not be possible. The final hurdle to overcome was to gather volunteers for the big day. Again, I don’t see this being a major issue, as I have already received feedback from our CTTDNUG volunteers and member community offering to help on the big day. This is the moment that makes all of the organizing, planning, cold calling, and begging worthwhile…. when I know that our User Group is just as excited about this event as I am.